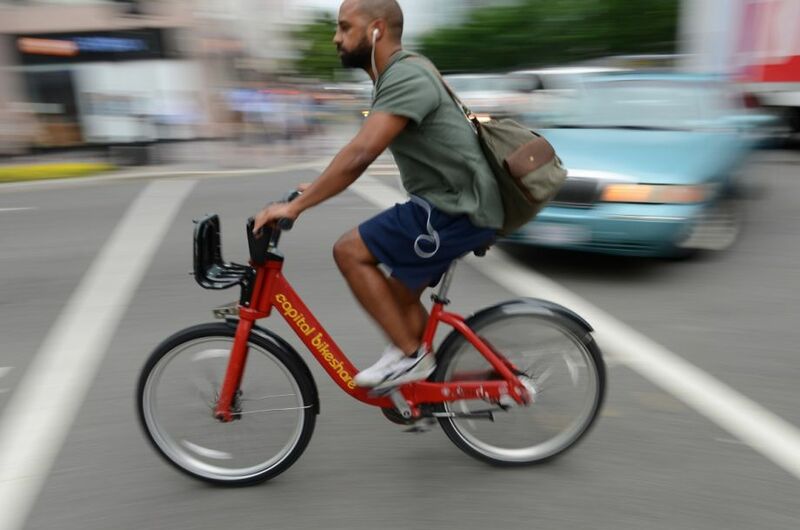 TransportiCA: NextCity: Should a Bike-Share Ride Cost the Same as the Bus? NextCity: Should a Bike-Share Ride Cost the Same as the Bus? e last time I thought about riding bike-share, I was on my way to a press conference in downtown Seattle and missed the bus. I happened to be a few blocks away from a Pronto station and considered just hopping on a bike rather than waiting 10 minutes for the next bus. But the idea of paying $8 for a 24-hour pass (the least expensive option for riding Pronto) kept me waiting. It just didn’t seem worth paying more than triple the price of a bus ride for the 20 minutes of pedaling I needed. Josh Cohen is a freelance writer and producer of The Bicycle Story podcast. His work has also appeared in The Nation, Pacific Standard, Vice and Crosscut.